will the forms that didn't come in via email now come in? We have removed your @gmail address from the bounced list, so the issue should be fixed for new email alerts. However, we can not repush email alerts that were not sent. 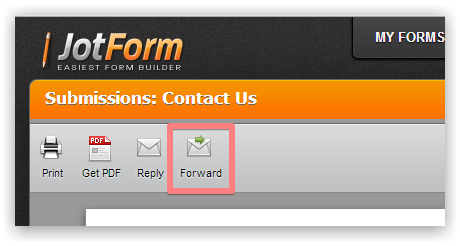 As an alternative, you can use a Forward option that is available on the form Submissions page to forward some old submissions. I have also noticed that email service is not active on your domain, so you may want to update your JotForm account email address. It can be done from Account Settings page.